Jeremy Corbyn will tomorrow mark the centenary of women’s suffrage by staging a special meeting of the shadow cabinet at the Museum of London as he launches Labour’s year-long campaign for women’s equality. Corbyn’s team will meet in the same building as the Suffragettes’ Exhibition as the party marks the award of voting rights to women aged 30 upwards. Labour’s campaign will celebrate women’s suffrage and look at which measures the party could take to complete the struggle for full equality. In recent weeks the museum opened the 2018 Votes for Women programme, to mark the centenary. “One hundred years ago today an important milestone was achieved in the fight for women’s equality,” said Corbyn. The Labour leader praised the suffragettes and said there is still more work to do on fighting for women’s equality. 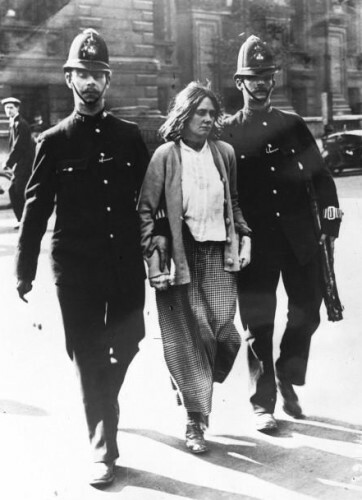 The MPs attending will wear commemorative centenary rosettes in suffragette colours at the exhibition, which displays iconic objects including suffragette leader Emmeline Pankhurst’s hunger strike medal. Corbyn, Dawn Butler and other shadow cabinet members will meet with women’s groups across Britain before revealing a series of policies dealing with gender inequality at Labour’s Women’s Conference later this year. The announcement of the campaign comes after Labour’s national executive committee ruled that all women shortlists are and always have been open to trans women, as confirmed in Alice Perry’s recent NEC report. Corbyn was criticised for appointing men to the most senior Labour positions in 2015 but has since taken great steps to boost equality across the party.